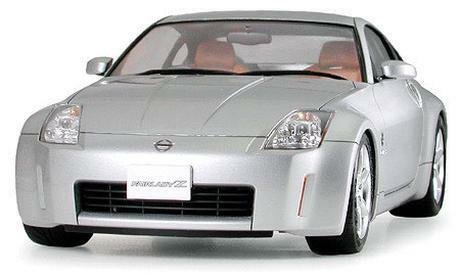 Home Shop PLASTIC MODELS Automotive 1/24 Sports Car Series Nissan 350Z "Track"
The eagerly awaited production version of the Nissan 350Z was presented in October 2001 at the Tokyo Motor Show, with official sales release started in August 2002. 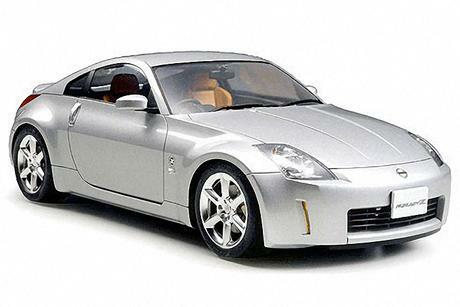 Retaining the nostalgic lines of the original "Z" that was released 30 years earlier, the Nissan 350Z, with its sharply cut front and rear fenders, became the number one Japanese sports car. The 350Z is equipped with a 3.5 liter VQ35DE V6 Engine producing 280hp and a 6-speed manual or 5-speed electronically controlled automatic transmission. 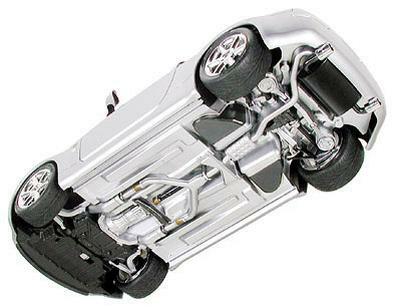 The Nissan 350Z's aluminum arms employ 4-wheel independent multi-link suspension and feature ripple controlled shock absorbers that effectively absorb road unevenness to make this sports car both quick and easy to drive. 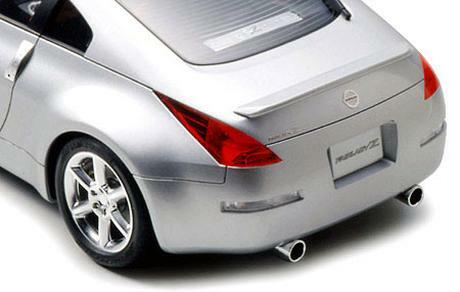 The "Track" version is the most sportive and luxurious model of the Nissan 350Z. 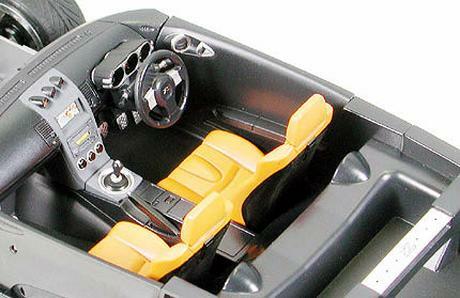 Futuristic form and sporty interior accurately recreated. Incandescence on light reflector and muffler end are depicted in model. Wheels and characteristic door handles reproduced as chrome plated parts. Orange transparent parts for turn signals and red transparent parts for taillights are included in kit. Minimum parts with maximized precision allow realism to be obtained with ease. Both left and right steering columns (2 dashboards) will be included so modelers can have the option of assembling the export, or domestic Japanese version. In pursuit of the utmost realism emblem and aluminum on doors are reproduced with metal transfer marks.